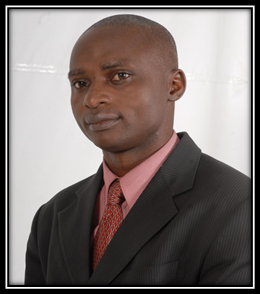 I attended the eLearning Africa conference, organized by ICWE, for the f irst time in Benin in 2012 as a participant. During the conference, I had the opportunity to meet with various professionals and experts in the field of ICT, as well as with other people who make use of ICT platforms to implement research and developmental projects in various regions of Africa. The experience encouraged me to leave no stone unturned to ensure that I, too, made use of this platform in my field of specialty to enhance development and address other areas of need. I left the Benin conference resolved to attend the next eLA conference, which was to take place in Namibia; this time, though, I planned to play a role other than participant. I started quite early by gathering all the eLearning skills I was exposed to during the conference: I commenced by designing and hosting the content of the courses I teach on the university’s learning management system (LMS) module. After using this tool as a component of my students’ learning process, I observed a high level of understanding and comprehension of the courses I teach, as evidenced by the students’ high grades. Seeing that the students and university management were very happy about this, I explored the possibility of using the ICT platform to provide solutions to the problems caused by unprofessional use of chemical substances for commercial and domestic applications. This became the research that formed the basis of my presentation at eLearning Africa 2013 in Namibia. I spoke in session MOP 25, tagged The Rise of mFarming in Africa, on the topic mFarming: Facilitating the Optimal Utilization of Pesticides by Peasant Farmers in Nigeria Using Mobile Communication Technology. The gathering, chaired by Giacomo Rambaldi, a Senior Program Manager at the Technical Centre for Agricultural and Rural Cooperation (CTA), was an interactive session during which the audience made suggestions to help promote sustainability in such emerging projects, both in my country and Africa at large. One aspect of the experience that especially pleased me was the preparations for attending the conference: the event organizers (ICWE) were proactive as they readily attended to all enquiries within the needed time frame. Their timely intervention enabled me to quickly obtain Namibian and South African visas prior to my departure. This would not have been possible without the strong leadership skills of Rebecca Stromeyer, ICWE’s Managing Director, and others. The opening plenary and numerous other sessions opened doors to learning new information that will definitely enhance my ICT competencies. The exhibitions took me to another world of new technologies and exceptionally intelligent ICT solutions needed in various realms of life. Special activities like the speakers’ reception, as well as a braai (South African barbecue) and dance events, were moments for socialising and building personal relationships among the participants. Another conference aspect that needs to be emphasised was the positive effect of the chairpersons of the various plenary sessions I attended, all of whom are acknowledged experts in their subject areas. They facilitated their respective sessions with manifest professionalism, creating a comfortable environment for interaction while also allowing objective criticism from the audience – all of which contributed to the enhancement of the participants’ learning. Particular reference is made here to Mr. Giacomo, the chairman of the session at which I spoke. He is eminently knowledgeable on the subject, and his extensive experience was enriching, as he was able to furnish ideas and solutions for the types of projects discussed that will help make them more sustainable. I must say that the sessions I attended and the people I encountered at the Namibia conference have played a key role in my career progression. With this experience, I find it easier to plan and organise course materials for my lectures and identify interfaces between my research findings and target beneficiaries. In this way, I have been able to take the practice of my chemistry out of the institutional laboratory to the wider public through the eLearning/ICT platform, and this has meant a lot to my career. Besides my personal benefit, I have been able to create links and collaborate with some of my university colleagues by connecting them with professionals I met in Namibia, which has also contributed positively to their professional endeavours. This is an exciting success story. The innovation is interesting and inspiring. This best practicd should be replicated in other African Countries. Thanks for your kind words, Charity! Great report. I can relate to this story because I was in the picture, and these developments happened at the institution where I also work. Goshit is one of those self-motivated people who only need a catalyst to excell. And eLA has proved to be such a catalyst. We hope the conference will continue to produce many more. Thanks, Dr Dooga, for your comments and support!